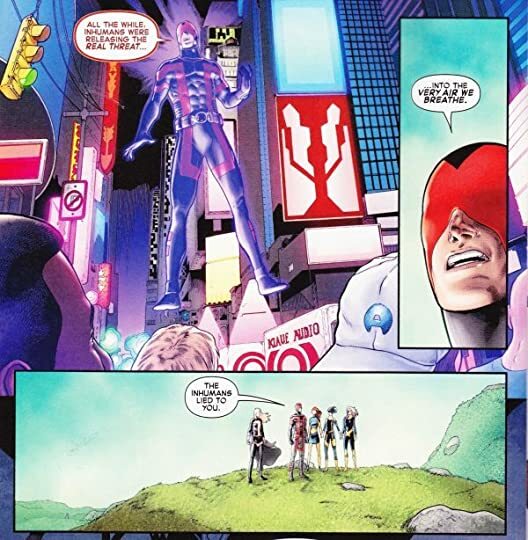 Cyclops and his X-Men get a distress signal from Muir Island and they head there to investigate. What they find terrifies them. 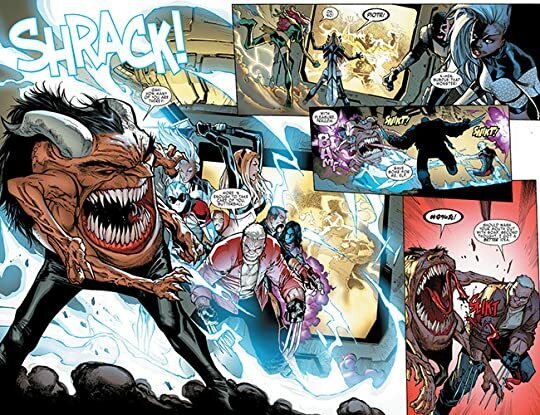 The terrigen mist clouds that were released into the atmosphere can kill mutants. Cyclops and Emma Frost warn the world. Then they formulate a plan to destroy it. Death of X suffered from it's year long build up. I expected something excellent after such a lengthy wait, but it was mediocre. 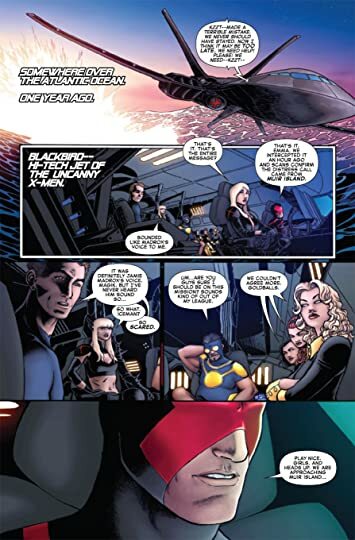 The series simply fills in some minor details to information that seemed more than obvious after a year of Inhuman and X-Men comics talking about it. All that being said I have to agree with the mutants on this issue. I can't imagine respecting someone's holy cloud if it would kill me. 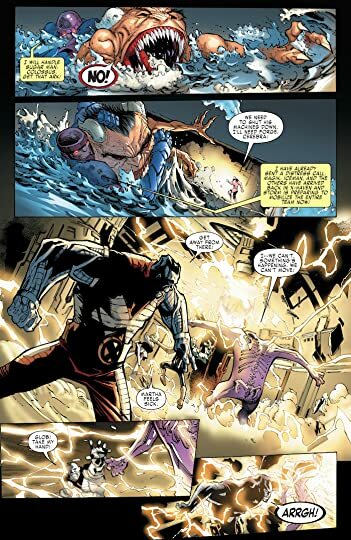 It was a matter of destroy or be destroyed so the actions Cyclops X-Men took were easily warranted. 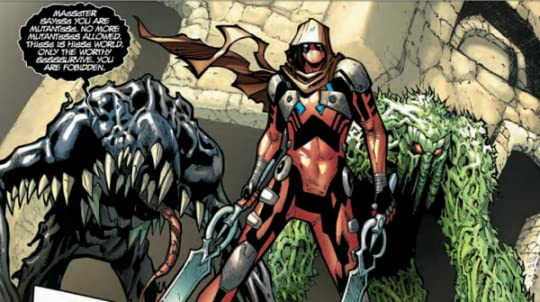 The future of mutantkind is in danger. 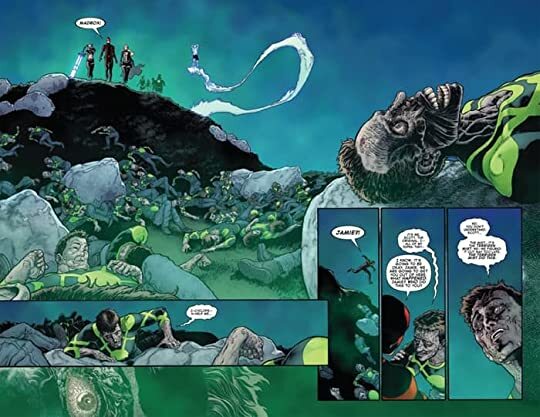 No new mutants are being born due to the terrigen mists, but then suddenly hundreds appeared in the same location. The X-Men investigate only to find Sugarman from Age of Apocalypse with 600 mutant embryos. As they attempt to rescue the embryos, Colossus and some of the young X-Men are teleported to the future. A future where Apocalypse has taken over and mutants are extinct. Have you ever made a colossal mess? I mean like breaking a shelf full of glasses that sends shards all over the place. So far in fact that you know regardless of what you do, some won't get cleaned up or found until someone steps on it. That is the Extraordinary X-Men's Apocalypse Wars. First off Sugarman shows up, no it seriously was Sugarman, with mutant embryos...um what was that. Yeah mutant embryos because you know that's totally a thing now. For some reason he wants to smuggle them to the future to play nurse to 600 mutant babies I guess. He must not have seen Jack Jack Attack in the Incredibles because that's a terrible idea. Anyway so if that's not random enough when they reach the future Apocalypse is alive and running things. It was just bad, bad all over. Extraordinary X-Men: Apocalypse Wars was a disappointing and confusing mess.